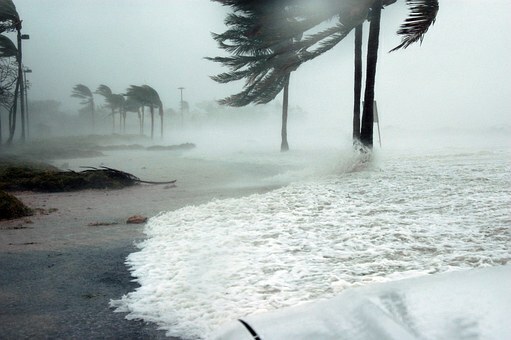 Are you preparing for this years hurricane season yet? The Atlantic Hurricane Season start June 1st, 2018 which means as of this writing, you have just shy of two months to get prepared. Now let’s pray they are wrong, but let’s plan as if they will be right! You could wait for Hurricane preparedness week which is May 6-12, 2018 before you start preparing. You could be like many and wait until June 1st to prepare, or worst yet, be like most and wait for a storm to form with the prediction that it is headed your way, by then you will be in panic mode with the masses. Personally, I recommend you start preparing NOW! Here are 14 things you should do now to prepare for a hurricane other other severe storm. Don’t get caught waiting in line for them or other items like can goods (don’t forget a manual can opener), SpaghettiOs or canned spaghetti are a good items and comfort food as well. I mentioned those as they could be eaten right out of the can without heating them up (in case the power is off and the weather outside is still too bad to use the outside grill). Be careful not to get anything that will need refrigeration after opening if you can’t eat it all in one sitting, like a jar of jelly. MRE’s are another fantastic choice; during hurricane Irma, we ate these for the first two days. It is a full hot meal all contained within itself and a bit fun to unpack if you are not used to them. I also recommend some electrolyte type powered mix to help with hydration like Gatorade (sad they change the formula on this one and added a small amount of artificial sweetener so be cautious if you don’t like that) , and for a quick dose of vegetables and vitamins V8, even without being in a hurricane I have one of these every morning, sometimes at night as well. The last thing you will want to do is dishes when the power is out and potentially running water is limited. During hurricane Irma, we were advised to limit our water use due to the fact the so many pump stations were down due to lack of power. So, we pulled out the paper plates and cups, and plastic utensils, they worked out great! We could of eaten the MREs right out of the bag, and if we had kids we may have because it would have just for the fun factor. To be safe, and with the one is none two is one philosophy, I have three grills, charcoal, propane camp stove, and wood fed small chimney type grill. Make sure you have all the battery sizes you need for your devices, AA, AAA, Cs, Ds. Never use candles in a disaster, the last thing you want to do is accidentally start a fire. Instead use a flashlight or better yet a battery operated lantern! This thing is the best, it has three brightness settings as well as a red light setting for nighttime so you can see but not blind yourself going to the bathroom. You can never have too many first aid kits around the house and in the car. This was the one thing last year we did not have. I made a huge mistake by under estimating the heat in the summer. I figured it was “no big deal” to not have air conditioning….WRONG!!! Especially if you have elderly parents, you are taking care of. After the third day the heat was suffocating, especially at night, it was very distressing especially for my elderly parents so we bugged out to a nearby hotel. Face it, we are soft, we are not used to not having air conditioning when it is 98 degrees and 100% humidity out. This year I am ready with a portable air conditioner and a generator that will also run the refrigerator and a couple of fans. Prior to hurricane Irma there wasn’t a gas can to be found. If you have a generator, you will need more than one gas can for sure. Now, I am not saying to fill your gas cans up now, no, not at all. However, have a plan of when you will start filling them. Five days prior to Hurricane Irma, the gas stations in my area started running out of gas. Why? Because the normal supply of gas was selling faster than normal as everyone was topping off their tanks as well as filling their gas cans to prepare. You will want to be filling your cans before everyone else starts thinking it is time to fill. Be smart, having gasoline around is dangerous and NEVER a good idea to have a gas sitting around for an extended period. Build your communication plan now. For days after the hurricane, cell service was spotty and data was non-existent. Text were the best way to communicate. For those who have kids you already know how to text, but for those with elderly parents, elderly aunts and uncles, or grandparents, they may not know how to text. I started teaching my mother how to text months prior to the last hurricane. She is a very sharp woman and rather quick at technical things, but I was surprise she just did not grasp the smart phone or texting very quickly at all. She is good at it now, but the time to teach her would not have been just prior or after the storm. Make sure the kids know whom to contact in case they cannot get a hold of you for some reason. Have a point of contact that for sure is not in the path of the storm. It is odd how technology works; you may be connected with someone in another state but not someone across town from you. Everyone in the family, including the pets, should have a bug out or go bag. This is in case you have to leave your home for whatever reason, the roof blows off, flooding, long power outage, whatever the reason, have a bag packed that has your essentials, couple change of clothes, toiletries/hygiene products, etc. Make copies of all your important documents, best thing is to scan them into the computer and have a flash drive locked up at your place of work (if possible) or another safe location. Have originals in some type of protection like an OnShield envelope which to be double protected I put inside a fire and water resistant bag. I have all my important documents one these types packs as well as some cash and silver, just in case. This is an easy pack to grab and go with if need be. Just in the case of me not having a generator and portable air conditioner, my plan failed and I had to leave my preps and home to bug out to a hotel and get my parents out of their comfort zone of their home as well. It was difficult finding a hotel as after day three everyone else in my area was doing the same thing. I kept thinking a generator was only good for keeping the refrigerator running, and that was something I was willing to sacrifice. Nope, it is so much more than that, it is for cool air as well. Preparing is a lifestyle not a single event. What I am trying to say is, even the best-laid plans will fail. So do not think you are fully prepared because until you go through a disaster, you will not know what you don’t know or what you really need. 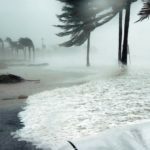 That is why it is so important to think it through, plan, and prepare as well as read articles like this one from others who have already gone through the journey of a disaster. Planning should be continuous not just an event. Continually be going over your plan and sharing with your family. The plan may need tweaking along the way, items added. What if you plan now, but next month you have a new kitten or puppy, they need to be added to your plan. Things in life change so the plan needs to be adjusted accordingly. In the grand scheme of things, our area was blessed when Irma came through. It could have been so much worse, like what occurred in Houston with Hurricane Harvey or Puerto Rico with Hurricane Maria. Be aware of your area, know if you are prone to flooding, or prone to long power outages. Let me know in the comments below how are you preparing for this year’s Atlantic hurricane season.